Even though the economy is recovering, some employers may still be contemplating downsizing, rightsizing or plant closings. Employers should carefully consider such decisions and determine in advance the implications of the Worker Adjustment and Retraining Notification Act (the "WARN Act"), a federal law that applies to businesses with 100 or more full-time workers. The WARN Act requires certain employers to provide written notice to terminated employees at least 60 days in advance of plant closings and mass layoffs. Some states have their own counterpart to the WARN Act that may be more restrictive or may apply in more situations; as such, employers, especially those operating in multiple states, should also be aware of any additional state requirements. Under the federal WARN Act, a notice is required if there is a "plant closing" or if there is a "mass layoff". A plant closing occurs if the employer closes a facility or discontinues an operating unit permanently or temporarily which affects at least 50 employees (not counting part-time workers) at a single site of employment in any 30-day period. It is important to note that the actual closing of an entire facility is not the only test for a plant closing. Even the shutdown of a specific operation or work function within a facility could be considered a plant closing under the WARN Act. For example, if an employer were to eliminate the accounting division within a facility, such a decision could be considered a plant closing if it affects 50 or more workers in a 30-day period. A mass layoff is defined under the WARN Act as a layoff of (i) 500 or more workers (not counting part-time workers) at a single site of employment during a 30-day period, or (ii) 50 or more employees (not counting part-time workers) if such layoffs affect 33% or more of the employer’s total active workforce at the single site of employment in any 30-day period. Of course, to make this determination, the employer may need to look beyond the immediate 30-day period. Even if a plant closing or mass layoff does not affect at least 50 or more employees in a 30-day period, the employer needs to look forward and backward 90 days from the date of the layoff to determine if all layoffs during any 90-day period that would not by themselves trigger the requirement for notice might, when combined with other layoffs in that period, trigger the requirement for notice. If notice is required, it needs to be provided not less than 60 days before the planned layoff. The notice needs to be in writing and include specific language to comply with the WARN Act. The penalty for failure to provide such notice is that the employer would be liable for the workers’ pay and benefits during that 60-day period. An employer may arguably avoid the notice requirement if it pays workers for 60 days (including benefits) after their termination in lieu of the notice. Even though no such practice has been officially approved by the courts, this payment effectively eliminates any penalties the employees might have under the WARN Act. We note, however, that employers cannot offset the notice requirement using an existing severance or termination pay program. Any offset payment needs to be something in addition to what the employee is already entitled to. For example, if an employer has an existing program that pays 30 days severance to laid off employees, it cannot offset the 60-day WARN Act notice period by the 30-day severance period. Because the workers have a current legal right to both the 30-day severance period and the 60-day WARN Act notice, satisfaction of one legal obligation cannot offset the other. We also note that individual states may have penalties that may not be able to be offset. Inserting yet another twist into the plant closing and mass layoff puzzle, we note that even with the various WARN Act issues, many employers that may be considering a plant closing or mass layoff still want to provide their affected employees with some additional financial assistance during the post-employment transition. In such a case, we recommend employers consider adopting a SUB-Pay plan. SUB-Pay plans can be adopted at anytime to provide post-employment benefits to employees while reducing the tax costs to the employer and employee. In addition, SUB-Pay plans are not limited to the layoff and plant closing definitions of the WARN Act. SUB-Pay can be offered to any plant closing or mass layoff. SUB-Pay is considered a payment "other than wages" and is defined by Congress as an amount paid to an employee by an employer due to the employee’s involuntary separation from employment resulting from either a plant closure or reduction in force. IRS regulations further provide that although SUB-payments "are not wages", they should be treated as wages for "income tax" withholding purposes. Thus, income taxes will be due on SUB-payments to employees - but what about employment taxes, such as FICA and FUTA? In an effort to distinguish SUB-Pay, the IRS published multiple Revenue Rulings setting forth a limited eight-factor administrative test under which payments made through SUB-Pay plans would not be considered "wages" for the purposes of FICA and FUTA tax withholding. When structured correctly, employers can significantly reduce their tax obligations by using a SUB-Pay plan to provide additional benefits to employees laid off as a result of a reduction in force or plant closing. One feature of the IRS’ eight-factor test is that the SUB-Pay must be tied to the employee’s receipt of unemployment benefits. In other words, if the employee is not receiving unemployment benefits, he or she cannot receive the SUB-Pay, or if he or she does, it would be subject to FICA and FUTA taxes. Some have questioned whether the IRS can impose the requirement of the eight-factor test. The U.S. Supreme Court recently accepted the case of United States v. Quality Stores, Inc. which will address the issue of whether SUB-Pay plans must comply with the test. In Quality Stores, the employer made severance payments to employees that had been involuntarily terminated; however, the payments were not tied to unemployment benefits and did not meet other requirements of the IRS’ eight-factor test. The employer argued that, although not compliant with the IRS’ eight-factor test, the severance payments qualified as SUB-Pay under the statutory definition and thus were not "wages" for FICA-tax purposes. The court agreed with the employer, noting that the IRS’ eight-factor test inappropriately added requirements for SUB-Pay not intended by Congress. The U.S. Supreme Court’s decision in Quality Stores may have far-reaching consequences for employers that have experienced a recent plant closing or reduction in force and for the structuring of severance plans for such involuntary terminations in the future. As we’ve advised, employers that have paid severance benefits to involuntarily terminated employees in connection with a recent plant closing or reduction in force may want to consider filing a protective claim with the IRS to preserve their ability to obtain a refund for payment of FICA taxes in the event that the Supreme Court upholds the Sixth Circuit decision in Quality Stores. The general statute of limitations for employment tax returns filed for a calendar year is three years beginning from April 15 of the succeeding year (i.e., the date when tax returns are filed for the previous calendar year). Thus, the limitations period has run for withholdings made during 2009 or earlier. However, employers that have withheld FICA taxes from severance payments in connection with a reduction in force or plant closing for the 2010 tax year have until April 15, 2014 to file a refund claim. Regardless of the outcome of Quality Stores, SUB-Pay plans are still an excellent option for employers facing a plant closing or reduction in force to achieve significant tax savings. 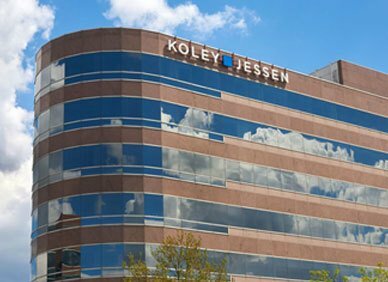 If you are interested in exploring the benefits of SUB-Pay plans or have questions related to any of the above, you may contact any member of the Koley Jessen Employment, Labor and Benefits Group.